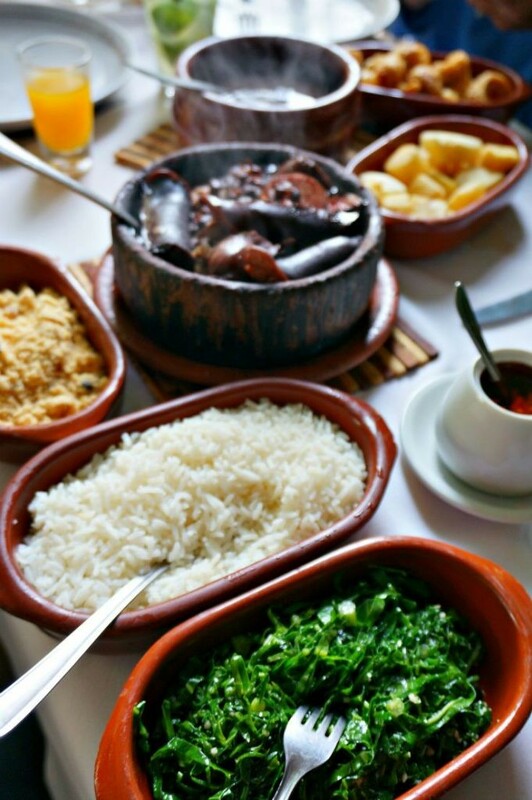 Feijoada is arguably Brazil’s national dish, a lofty position for what is basically bean and pork stew. What’s important about having a good feijoada is less about the dish itself and more about everything that surrounds it. When you eat feijoada you are headed to a party. It’s a social occasion with lots of food and people to share it with (and you’ll need them). Oh, and as a bonus, the feijoada itself is really tasty. 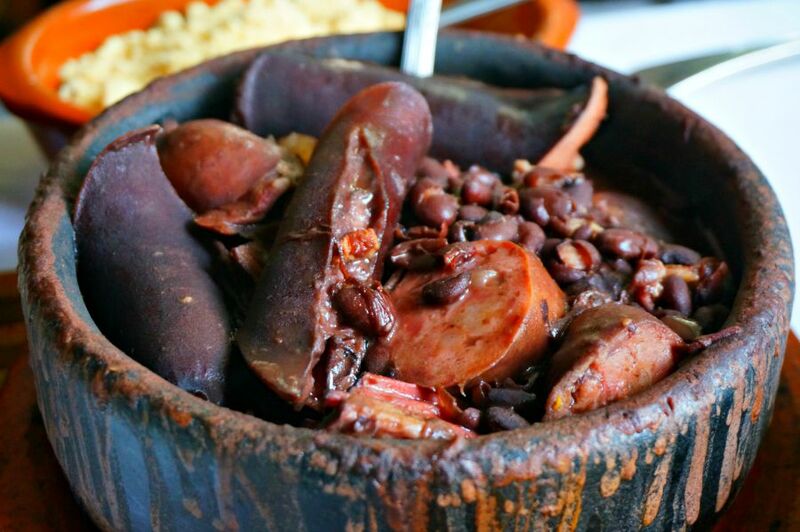 We were introduced to the dish in Rio de Janeiro at the Casa da Feijoada. 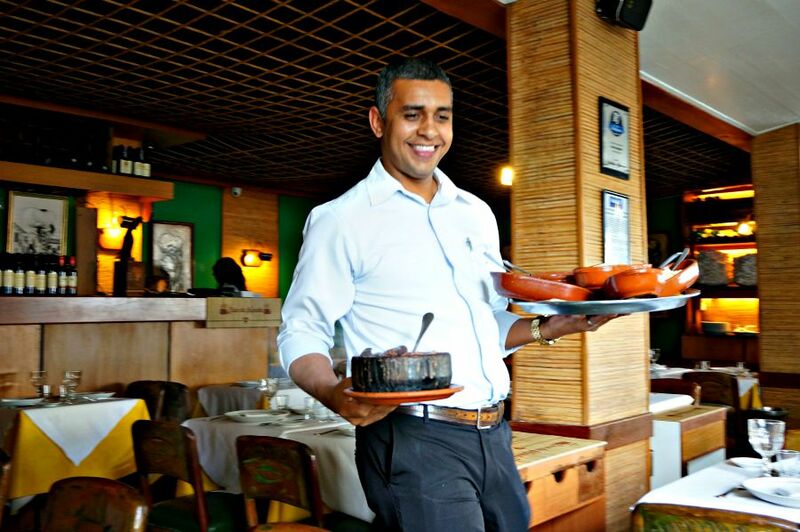 They have been preparing feijoada feasts for over 20 years in the Ipanema area of Rio, so we knew we were in good hands. Not long after we sat down, the food started arriving. We were given a cup of warm bean soup, some cheeses and slices of sausage and olives while we decided on our feijoada. Oh, and of course we opted to order caipirinhas (Brazil’s national drink) to go along with it. After the still bubbling feijoada was set on the table, side dishes started to show up – and stack up. We had rice, fried yucca, slices of orange (which are supposed to help with digestion), sautéed greens, crispy pork rinds and fried cassava (a staple side dish in Brazil – think a sort of flavorful corn meal). Everything was REALLY good. We were informed that actually start cooking the beans at 8:00 p.m. the previous night, and add in the meats at midnight. It slow cooks until the next afternoon. 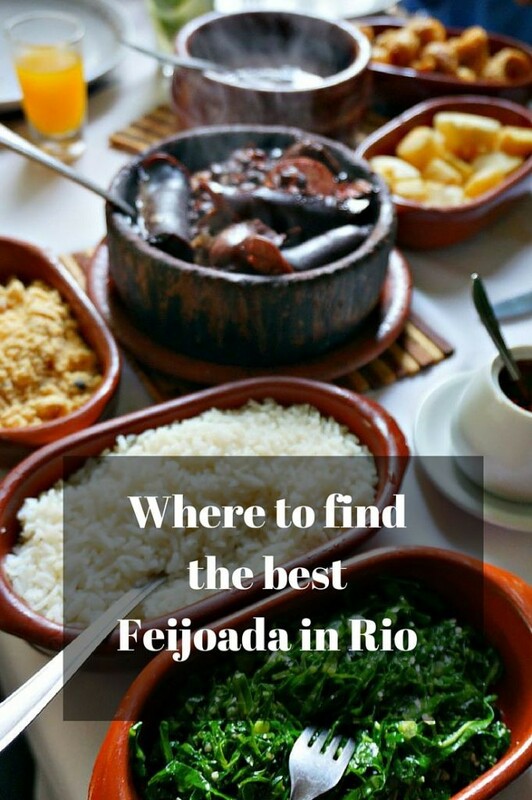 Most typically feijoada is considered an afternoon feast, but they also serve it for dinner. I’m glad we opted for the late afternoon – feijoada isn’t a light meal. Even the coffee they served us at the end was festive. I had never seen one of these table side coffee makers before. 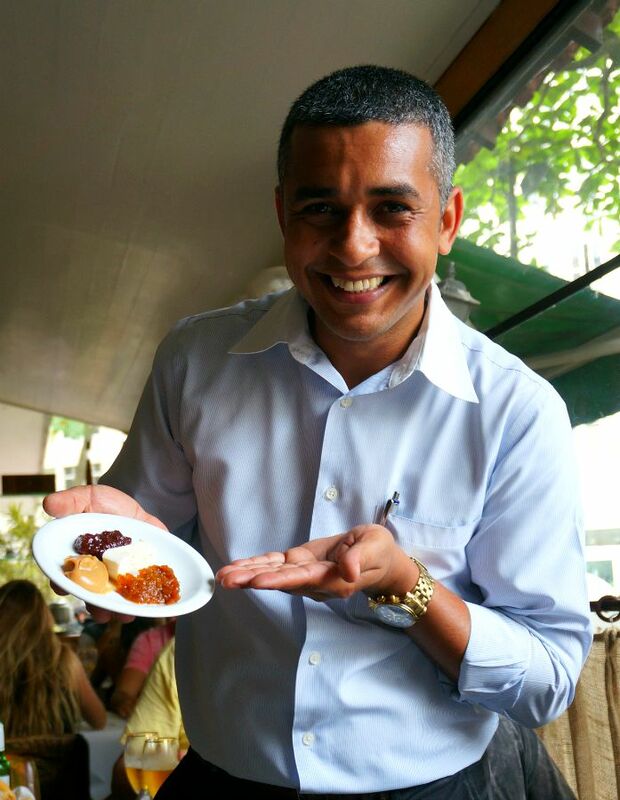 And lastly, a sampling of local flavors like guava paste and cheese, to round it all out. Presented by the always smiling manager of the restaurant. I wondered if this guy ever has a bad day? And for the record, mine on this day was a very good one too. Thank you to the Casa da Feijoada for hosting us for this lunch. Our opinions remain our own. I was so lucky to visit Rio with a local and we ate through every great Brazilian dish, plus had more than a few Caipirinhas. All delicious as long as you’re not vegetarian! 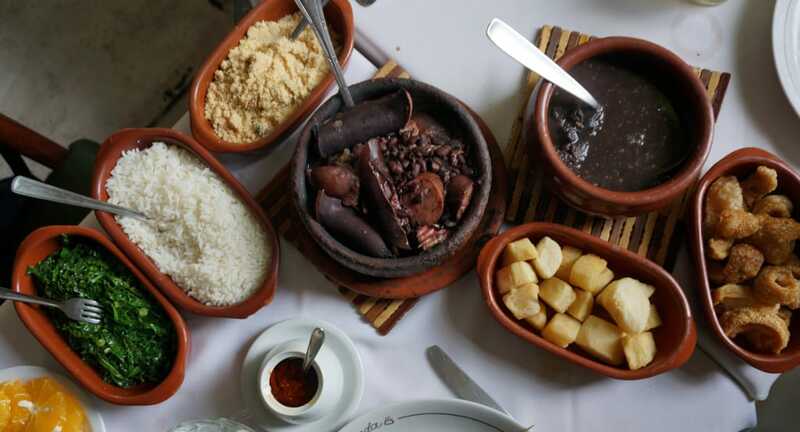 Okay, I would not be able to eat feijoada as I don’t eat pork, but still, looking and reading about it when it’s almost lunch time is definitely not fun, haha! I’m curious about the table side coffee makers, too, by the way. Wondering how it works. I was pretty fascinated by the coffee maker too, not sure how it worked but I can tell you the coffee that it made was quite good. Casa De Feijoida it is. Just penciled it in 🙂 Thanks for the reco! 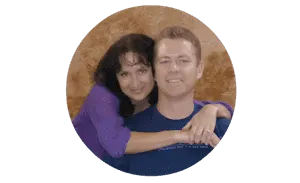 You are very welcome – you’ll love it! I’m so glad you come back every week AND that you vouch for the flavor of the stew – quite yummy! So much of travel, in my opinion, is getting to know the culture, which food can be a huge part of that! Makes me want to head to Rio de Jeneiro! Of course, I want to know what is in that caipirinhas – looks refreshing and delicious!! I need to get to Brazil for the food, I see. I want one of those table side coffee makers and I don’t drink coffee. It just looks cool. I love Caipirinha. They are so much better than other drinks. 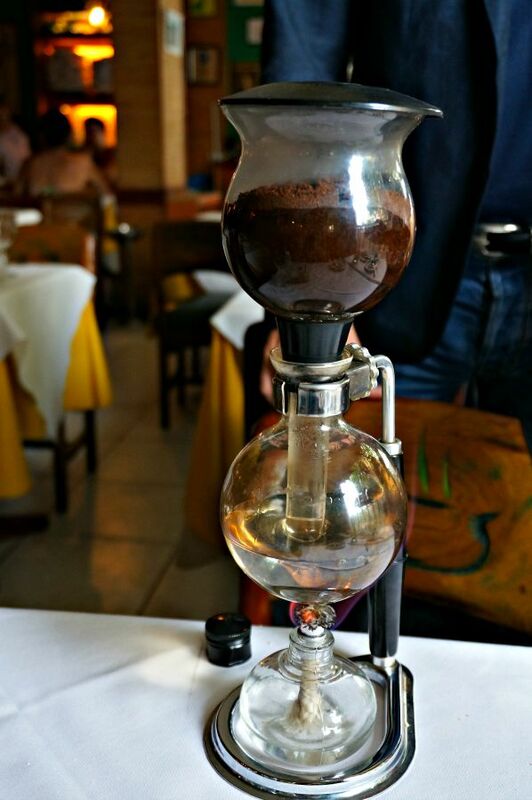 The coffee maker was really cool and a nice touch at the end of the meal. 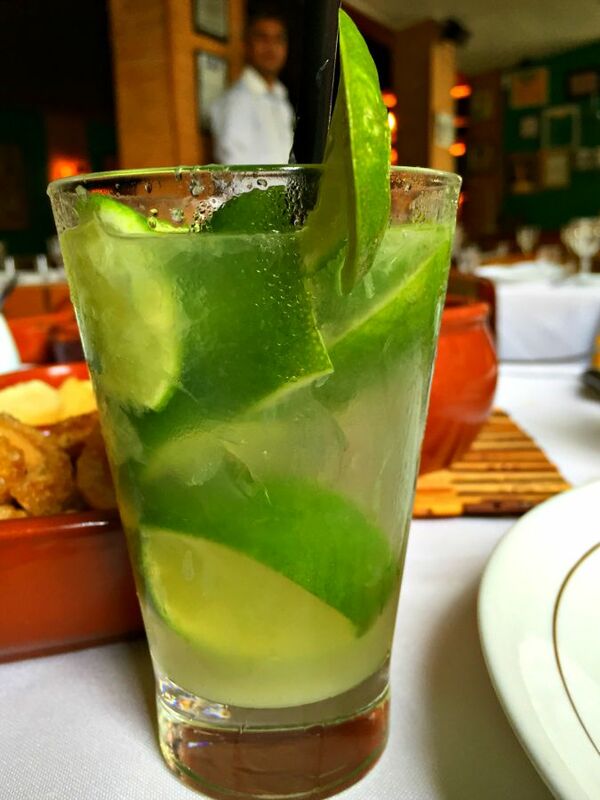 And I agree – Caipirinhas are REALLY good! I have to agree with everyone else – that coffeemaker is too cool looking! It looks like something you’d find in a mad scientist’s lab. I know – I wasn’t sure what to make of it when they brought it over. Wonderful presentation and the coffee was fantastic too.